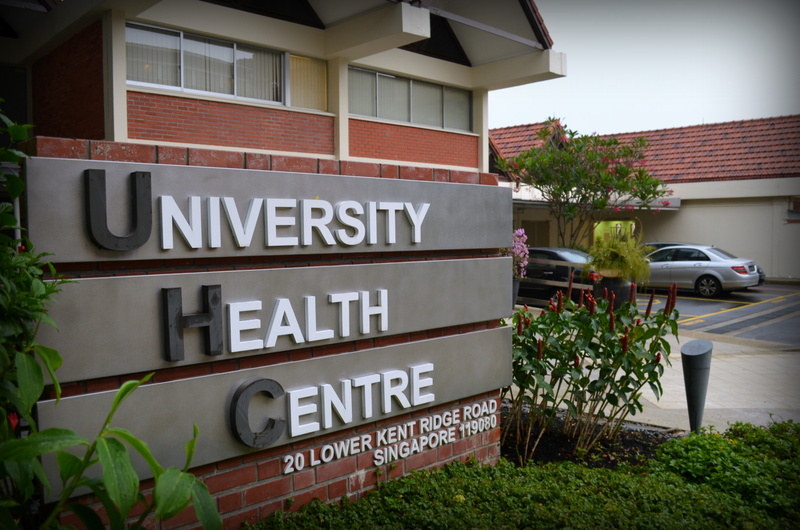 The University Health Centre is available to all Yale-NUS students. The student health insurance covering all Yale-NUS College students “provides very affordable top-notch medical care,” according to the admissions website, and ensures basic medical bills are covered in the case of accidents and illnesses. Yale- NUS students share the same student health insurance as NUS students. Alongside enjoying its benefits, however, students generally appear to have had mixed experiences with the insurance, including being confused about the extent of coverage and incurring unexpected health care costs for some. Seeking reimbursement in itself is a difficult task, according to Bartulis, “because they only give you four hours in the week when you can go to the UHC and talk to the insurance officials, which is I think from 10-12 on Wednesdays and Thursdays,” he said. Erika Shibuya ’17, on the other hand, managed to successfully claim about 55% of the medical expenses she incurred when she contracted Dengue fever a few weeks ago. This was within two weeks of submitting all her receipts to the UHC office. The process was “relatively smooth, [although] it was confusing because the NUH told me to go through a much more elaborate process of mailing my receipts somewhere … [while] when I called UHC they said just pass the receipts to them … [and] it went fine,” she said. Students who intend to get reimbursed for treatment in the NUH Accident and Emergency (A&E) department must make sure they first obtain a referral from the UHC. Only in emergency cases can students go straight to NUH and be reimbursed for the treatment received. Even so, this has to be during off- hours for the clinic, and such reimbursement can only be made up to twice a year, according to the UHC website. If the A&E case requires a referral to an outside hospital, the entire costs may not be covered by the insurance. According to the UHC website, only up to $50 worth of the costs will be covered in the latter case. The NUH website states that a typical A&E consultation fee is $108. Nowhere in the online sources the reporters consulted is a definition of an emergency given. That said, students may not have to be deterred from having to get referrals from the UHC. According to Dr. Patrick Tan, the UHC director, referrals can be written very quickly for students if needed, although if students are in very serious conditions they can head for the hospital directly. UHC doctors review the latter cases individually to determine if reimbursement should be given. Otherwise, the student must pay the full charges incurred during that hospital visit. The reimbursement amount differs for international and local students in some cases. International students have additional coverage under the Group Hospitalization & Surgical Insurance (GHSI), which covers up to $30,000 per year for eligible hospitalization and surgical expenses. Local students are not covered by the GHSI if they are hospitalized. Instead, they are insured up to $50 for daily room and board, $500 for a surgeon’s fees, and $23 for daily treatment among other fees covered by their insurance. One reason why local students get less coverage compared to international students could be because many already have existing external health insurance plans. Certain treatments are not covered under the student health insurance. These include preventative treatments such as vaccines, medical check-ups, and Sexually Transmitted Disease treatments. The Yale-NUS admissions page appears to include dental treatments in the health insurance when it states that “There are also dental services and UHC’s specialty clinics on-campus” in a FAQ on health insurance. Dental care, however, is also listed in the exclusion policy, the exception being “accidental injury to natural sound teeth. It is unclear if the college will make any revisions to the student health insurance. According to Chris O’Connell, student programs manager, “The Yale-NUS administration is aware of student concerns and … trying to identify what the best course of action is to provide affordable, effective coverage.” Earlier this year, Dean’s Fellows and Vice Rectors participated in several training sessions regarding UHC services, supporting students with health concerns, and mental health services, according to O’Connell. The Dean of Students Office website was also recently updated with more information on health insurance. In the event of health incidents or emergencies, students are urged to reach out to the Dean’s Fellows or contact their respective Vice Rectors. When asked about health insurance policies in other universities, O’Connell replied that they vary across institutions, although many require some form of coverage for students. “Some universities require students to enrol in the university-sponsored plans while [others] allow you to waive that coverage if you have external coverage. The inclusion of dental, vision, and mental health services really vary – some institutions include them with the health insurance plan … [some] offer them as optional “add-ons”, while other universities don’t offer them at all,” he said. The health insurance plan that covers Yale- NUS students does not apply to overseas travel during or out of the school term, but the college ensures that all students participating in College-organized international travel, such as Week 7 trips, are equipped with supplemental travel insurance.